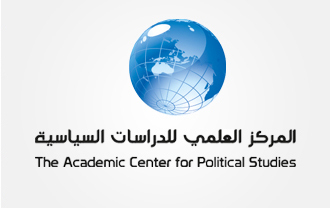 Newly released from the Scientific Center for Political Studies in Jordan, the book "Islam without fear: Egypt and the New Islamists," authored by Dr. Raymond Baker, who translated Dr. Manar Shorbaji. This book is a distinctive body of literature that dealt with the most prominent schools of thought in contemporary Egypt, which has adopted a stream of Islamic moderation, and to spread its influence outside the Egyptian border. 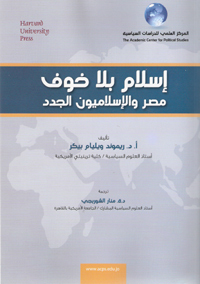 Treat this book with symbols School Islamists new from the likes of: Muhammad al-Ghazali, and Yusuf al-Qaradawi, and Kamal Abul-Magd, and Fahmi Howeidi, Tariq human, and Mohammad Salim Al-Awa, and others, on the grounds that they belong to one school of thought, and their characteristics and attitudes. And therefore their contribution to the collective interest Becker; because they also see complete each other; all your outstanding is his effort, but benefit from the work of others, with the province of them all on his independent intellectual. The book clearly revealed that the current Islamic moderation has witnessed a quantum leap critical emergence of this school of thought; has become a stream of moderation - thanks to that school - a coherent intellectual project not just innovative ideas in this area, as can be seen from the book also symbols of this school played critical roles in many local events and regional and international organizations throughout the period covered by the research. The importance of this book for being monitored and analyzed everything issued by those thinkers from the writings and contributions to public life, as well as addressed the manifestations of the events of September atheist, and the subsequent campaigns "to defame" the Arabs and Muslims, and has been in the framework of the exploitation of visions more currents Islamic extremist and backward to jump to generalizations which goes on Arabs and Muslims. Amid all this bustle and physical violence and verbal and emotional highlights in the West, the voice offers a vision of a solid based on in-depth study of one of the most important Islamic schools of thought in our contemporary history aims to detect and focus on Islam last civilization: Islam reconciled with the world, and the photoactive him, Islam does not provoke fear and anxiety, he is "Islam without fear." Baker has chosen to study the phenomenon from within not from outside; through the effort to read the vast majority of the literature issued by the thinkers who eating book. The book contains three parts, each part dealing with the new Islamist vision of culture, society and politics. Part provides for the domain of cultural Pfsalih first and second for education and the arts to build the link between the excesses of popular culture and the poor efficiency of the ruling establishment, which usually take defensive positions. The following two chapters which deal society and the economy, provides them with an article sarcastically satirizes very distorted visions of Islamist militants while picking up attention from the national agenda and focus on minor issues. In the fifth and sixth chapters dealing with politics, democracy and political action and finally interact with the world and the international community.